Euro Pediatrics 2019 : Vydya Health - Find Providers, Products. 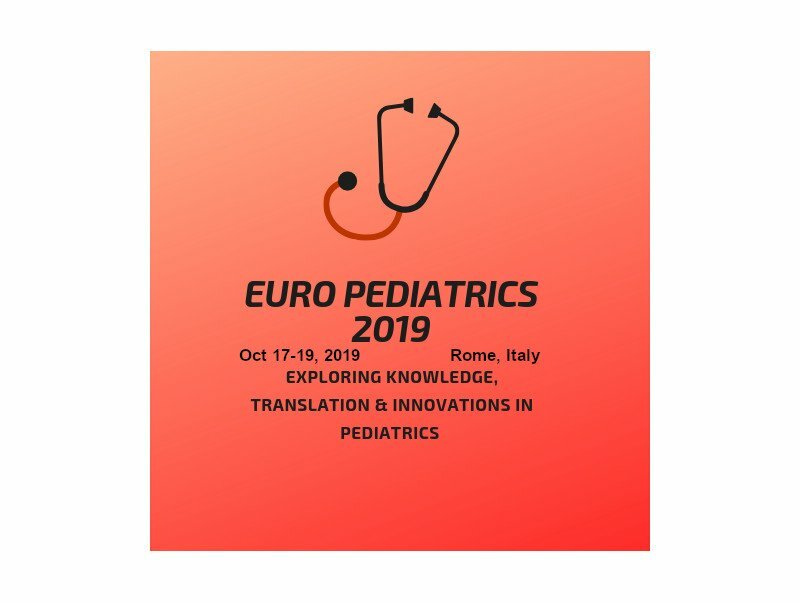 Frontier Meetings takes immense pleasure and feels honoured in inviting the contributors across Globe for Euro Pediatrics 2019 is organized around the theme “Exploring Knowledge Translation & Innovations in Pediatrics” and will take place in Rome, Italy, October 17-19, 2019. It is an ideal platform for pediatrics professionals to explore the outstanding strategies and theories in Pediatrics Line. We extend a warm welcome to distinguished Pediatrics Nobel Laureates, Speakers, Delegates, Exhibitors, Researchers, Students around the world to explore the Knowledge in Pediatrics and its line..